The RGS-941DVR is a 4 channel digital video black box recorder a Heavy duty metal box that sits on a suspension mount. It has been designed and built by world leading engineers in the industry from Taiwan who have many years’ experience in the DVR industry. The RGS-941DVR black box DVR system records while you are driving and saves events that may happen at the same time. The information gathered by the RGS-941DVR is very valuable in disputes that occur while driving or while the vehicle is parked, with the GPS location, vehicle speed and date/time recorded. The DVR can be set up to suit 1,2,3 or 4 cameras with a standard 4 pin air plug. 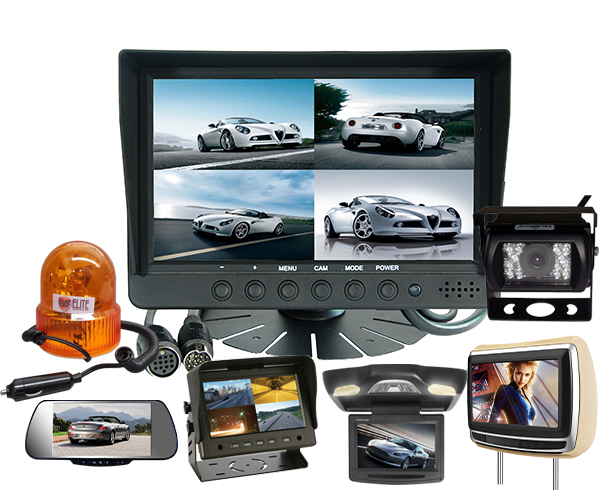 A dash mount monitor can be attached to view all cameras to help with driving and reversing in all situations of driving. The DVR operates on 10-36 volts so all cameras will take 12 volt power from DVR, makes installation easier for long cable runs. Safety Management: User Password, Admin password in two layer management system.